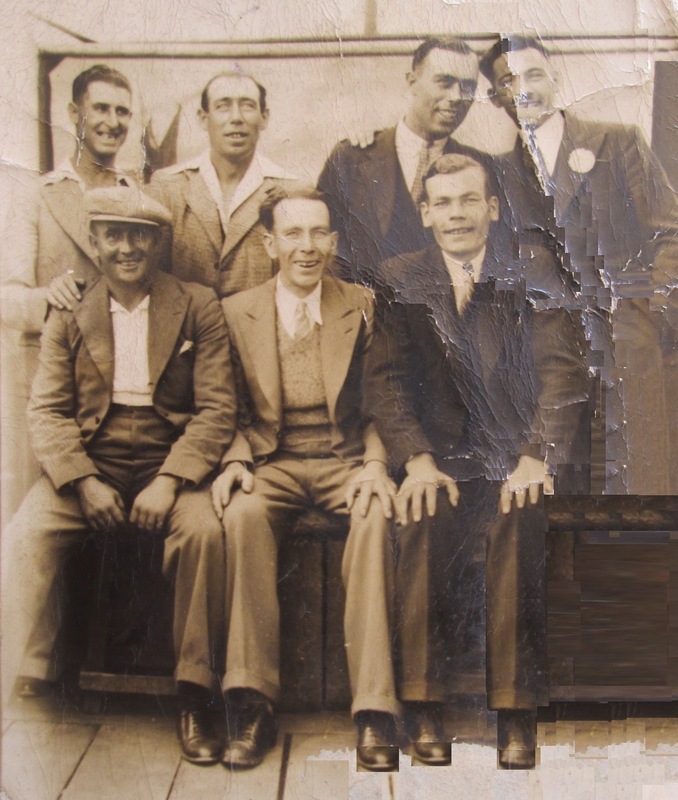 Sandra Graves provided this photo showing seven men on an outing, possibly to Brighton. She believes the third man from the left, back row, may be Tom Grant of Brentford. Read more about the Grant family provided by Sandra and by Bob Sheridan. Viv added 'Henry Porter and his wife Winifred (née Barrett) lived at 309 High St between 1932 and 1937. Henry grew up in Hammersmith and Winifred was born and grew up in Brentford.'. If you can provide any more names please get in touch. The location appears to be a marquee or tent - possibly a seaside photographer set one up for the purpose?